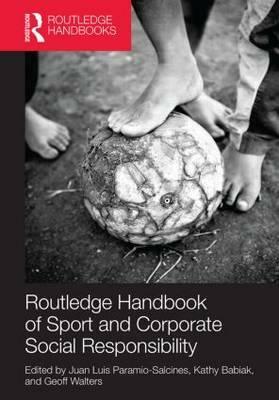 The Routledge Handbook of Sport and Corporate Social Responsibility is edited by Juan Luis Paramio Salcines, Kathy Babiak and Geoff Walters and you can go direct to the Routledge link here. As the role of sport in society becomes ever more prominent and as sports organisations become increasingly influential members of the global community, so it has become more important than ever for sport to consider its wider social responsibilities. A book focused on Sport and CSR was definitely needed. The handbook is here and covers major theories and concepts of CSR applied to sport, covering both research and applied perspectives. My contribution concerned the monitoring and evaluation of CSR in a Premier League Football Club, entitled: “Implementing ‘Monitoring and Evaluation’ Techniques within a Premier League Football in the Community Scheme: A Case Study Involving Everton in the Community”, which complimented “Measuring and Evaluating Community Sports Projects: Notts County Football in the Community” by David Hindley and Doug Williamson. You can read some of the text here.